Children in our world: Refugees and Migrants by Ceri Roberts and Hanan Kai | Educate.Empower. Wow. Such a big and heavy topic which is often filled with sadness, worry and fear. But this series – Children in our world has again written about refugees and migrants in a way the leave children feeling informed and empowered to take action. In the news we hear so often of refugees who have settled in Australia and living happy lives but it is the stories of heartache, loss and fear that we don’t always want our children to hear. 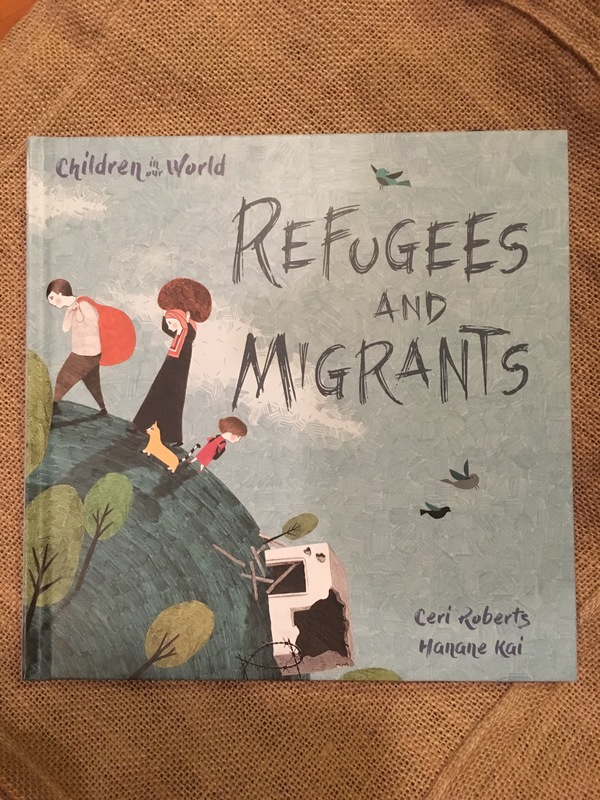 Children in our world: Refugees and Migrants by Ceri Roberts and Hanan Kai informs the reader how people can become refugees and how it would feel to pack up your life into a small bag so that you can run. The images that accompany this story really add emotion to the book as we see small children in their much loved bedrooms leaving everything behind, we see children orphaned by their parents and children hidden away on an illegal journey. But hope is there and we see a young child happily sitting with a family member drinking tea on a verandah at the end of the book. We can see that people can be safe and find a new home – but without government intervention and the power of people keeping them accountable these things cannot happen. Children are also informed as to how they can make a difference to refugees lives and I love that writing a letter to the government is one of these. Young children may not feel that they really have a voice but through letter writing they can be powerful. Inspire your children and inspire yourself to take a stand on the ever increasing amount of refugees in our world. These people deserve to live in safety and deserve to live in houses – not in the tent cities that seem to be growing every day. Pingback: Books from 2017 that encourage you to be kinder the people of the world – Educate.Empower.